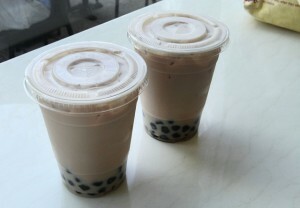 I just bought my first boba tea today, also called bubble tea. This is the tea people with ADD should be drinking. First there were a ton of flavor choices. Then you pick between traditional tapioca pearls or bursting pearls which have juice inside them. I chose bursting pearls. Then I had to pick a flavor, so I chose pomegranate to go the hibiscus tea. Sip tea, squish pearls, giggle at burst of sweet juice, repeat. 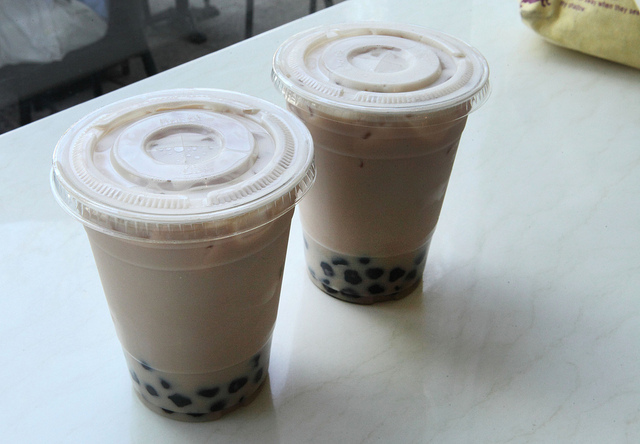 Have you tried boba tea, and do you like it? If not, why not? 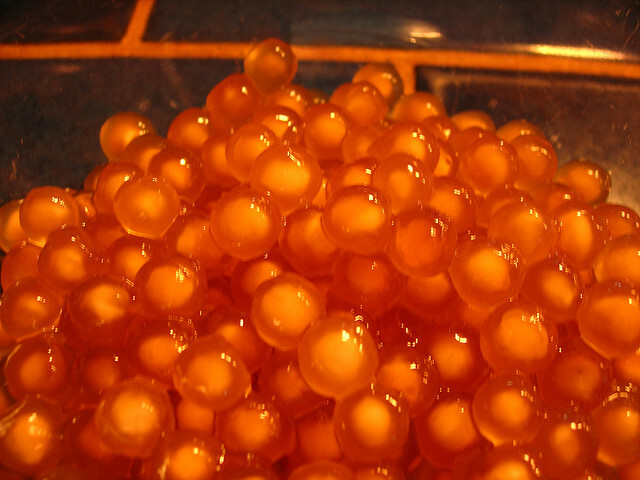 Photo by Lily of Bursting Boba! You’ll have to tell me if you like it!